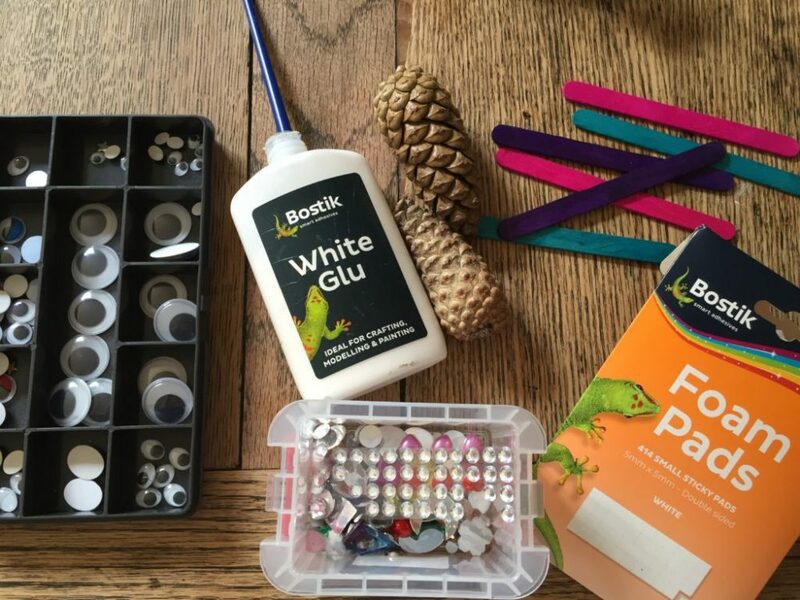 It’s Bostik Bloggers craft time again. This month, the theme was Nature. 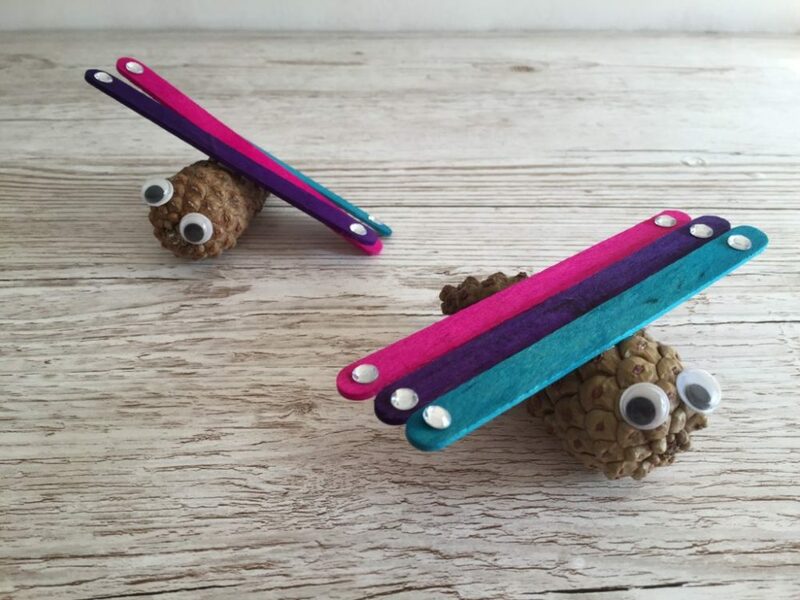 Last year, we made mini beast pegs in their own little garden and wanted to do something different this time – Pine Cone Animals. 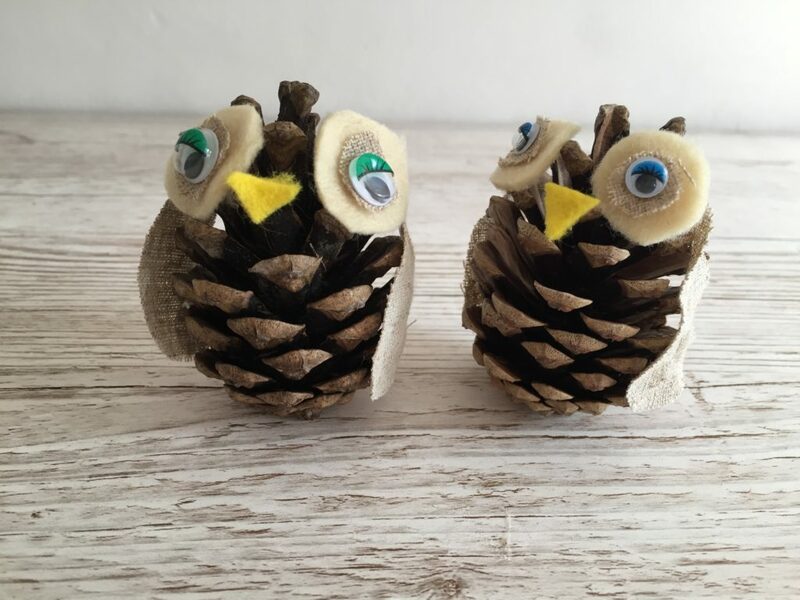 We have a huge collection of pine cones – we collect them every year, by the bag load as they make brilliant fire lighters and so decided to base our craft on them. We also, having been a bostik blogger for a year or so, have a great collection of their sticky products, and so decided to free flow our craft and make it up as we went along. 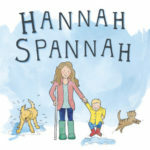 We love crafts like this as it uses our imagination and encourages creativity. 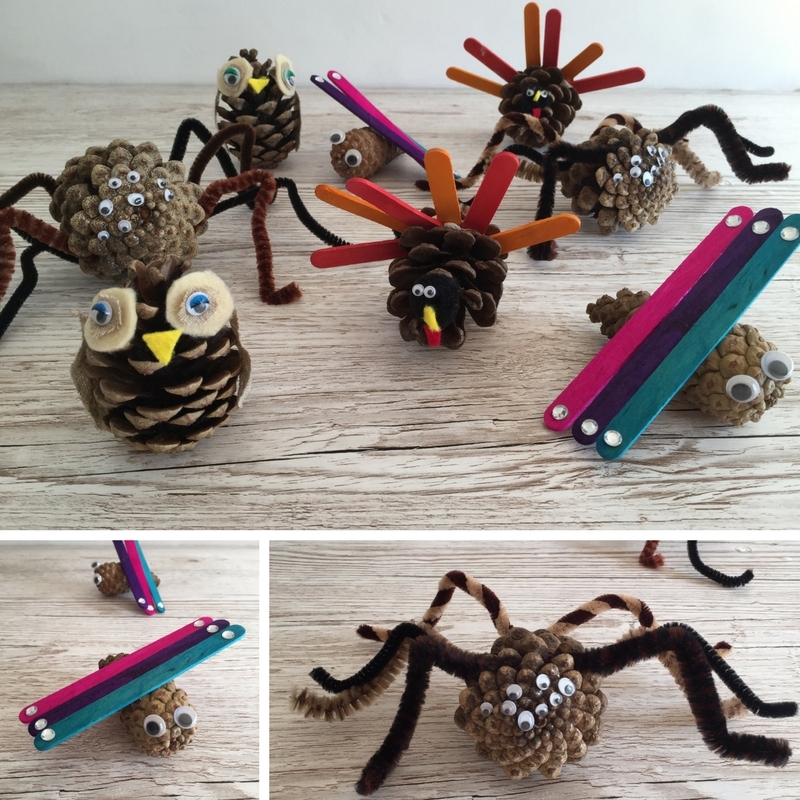 We decided on four animals – spiders, dragonflies, owls and turkeys. 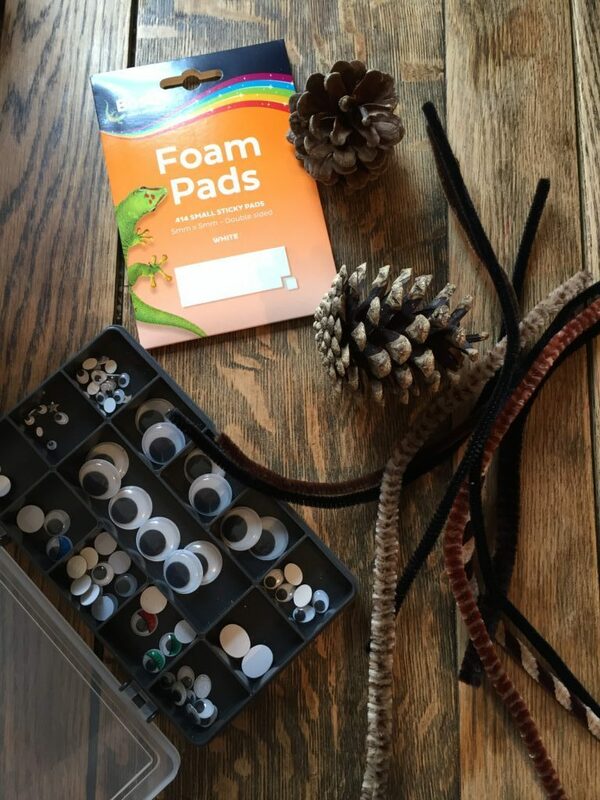 Our inspiration came from Pinterest and the craft supplies we had. and of course, pine cones. 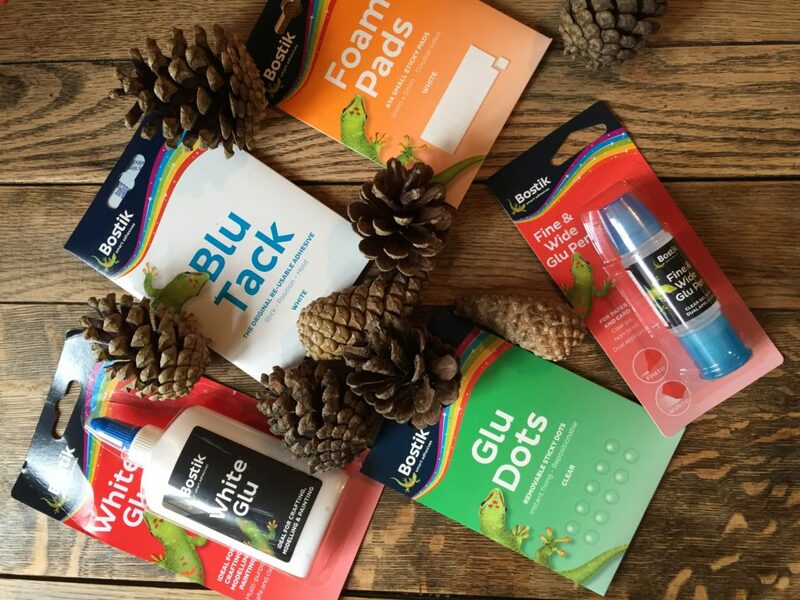 There is no right or wrong and also, you don’t have to use the Bostik products that we used, each time – we just wanted to provide inspiration for all the different glues. 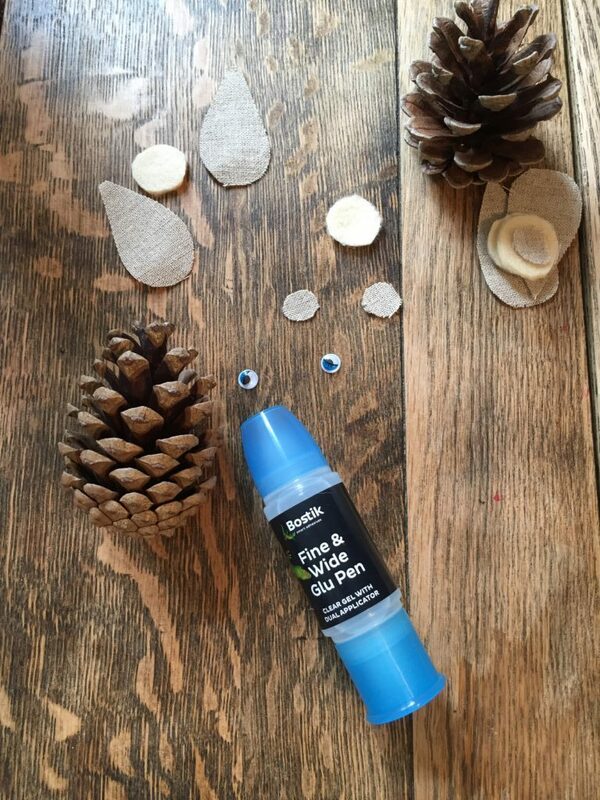 We used Bostik Blu Tac – in white and Bostik White Glu to stick the head, eyes, beak and red wobbly bit that is under their chin – a wottle?! We snapped off one or two of the pinecone scales, in order to help it stand on it’s side. We made the Owl’s in two ways. One was using the Bostik Fine and Wide Glu Pen and one was with the Bostik Glu Dots. I cut the glu dots to size for the eyes, whilst they still had the plastic covering on and it worked really well. 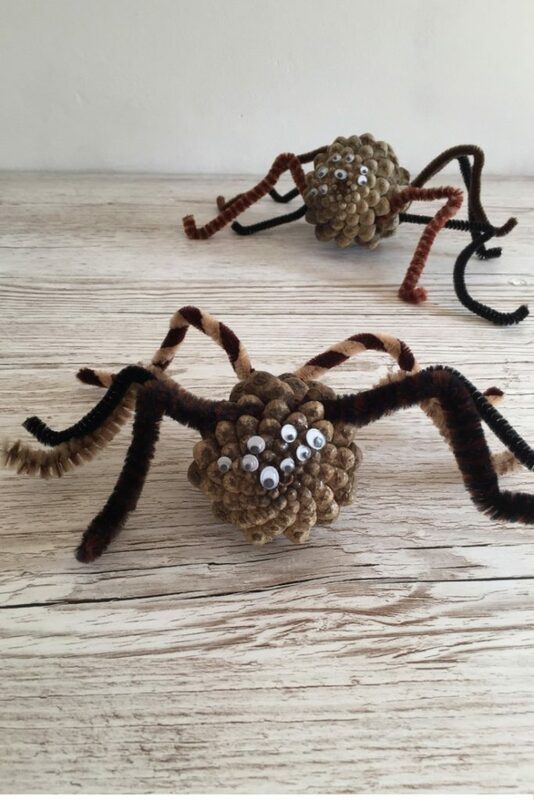 We both love the way that the spiders turned out and think that they would be great for Halloween. 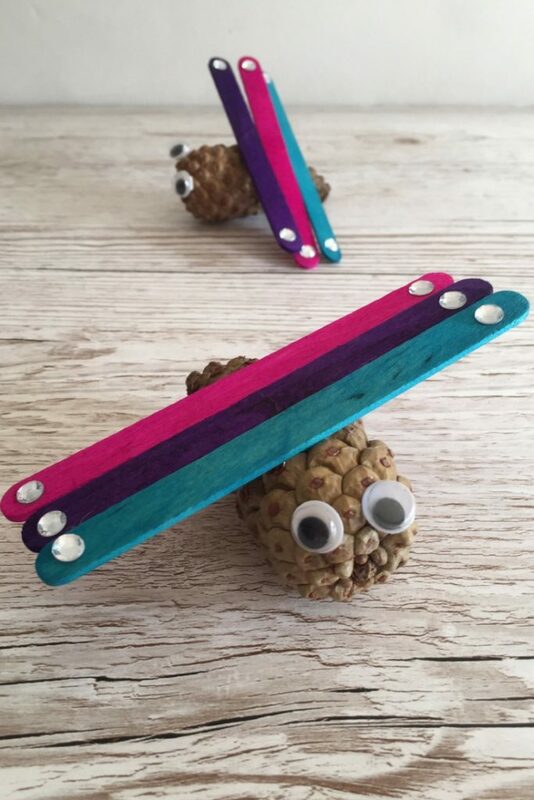 We made them in two ways. 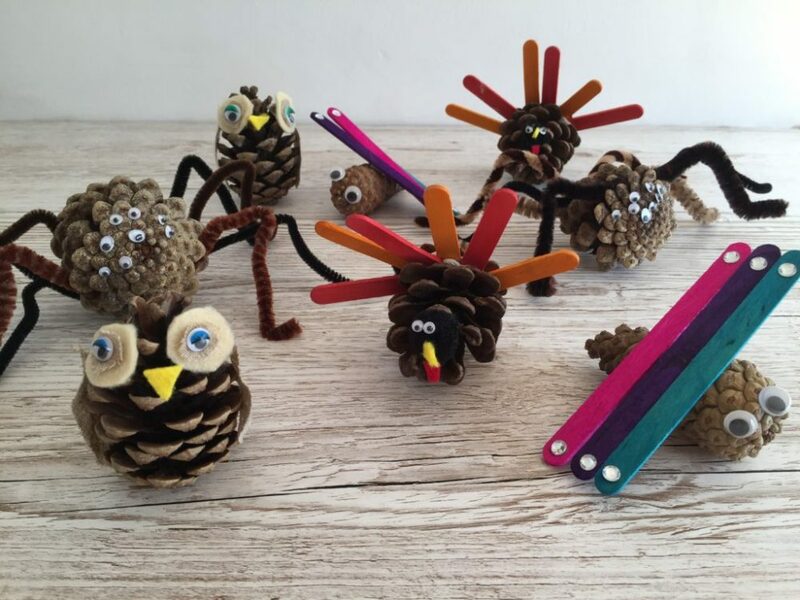 One with the Bostik Foam Pads for the pipe cleaners and Fine and Wide Glu Pen for the eyes and the second one that we made was by simply twisting the pipe cleaners onto the pinecone and using White Glu for the eyes. Both glue’ s worked well but the pipe cleaners definitely worked better when secured as they didn’t stay on so well when we moved the spiders around. I didn’t really document making the dragonflies. We were just too busy making them but it was a really simple process. 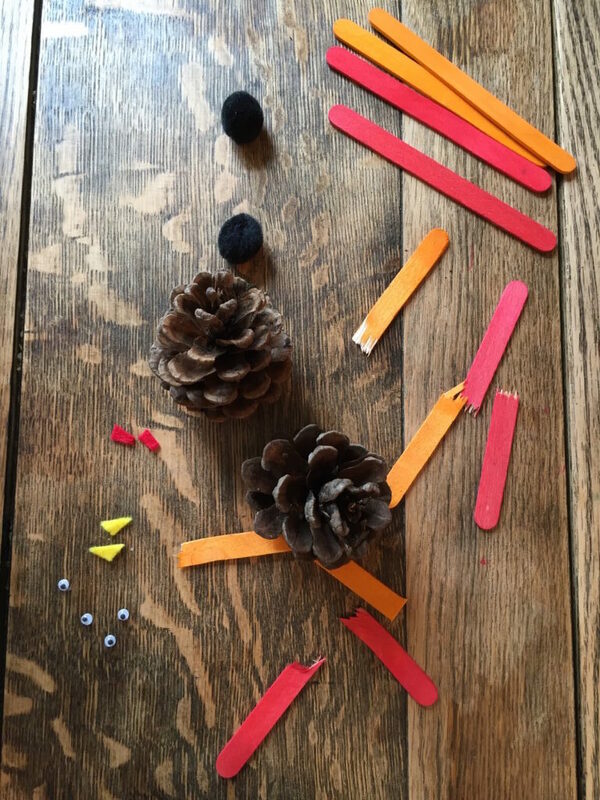 One was made using the Bostik Foam Pads – we stuck the eyes and lollypop sticks onto the pine cone using them and added jewels for sparkle. The second dragonfly was made using Bostik White Glu. 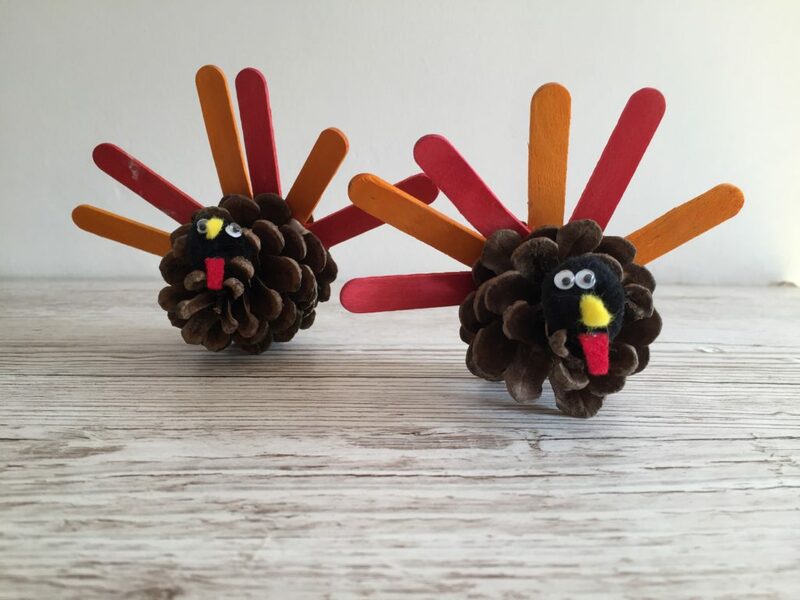 We lay the lollypop sticks down, put glue on the middle of each one and then lay the pine cone on top. We left it until it completely dried and the stuck the eyes and jewels on. So that’s it. Our pine cone animal creations. 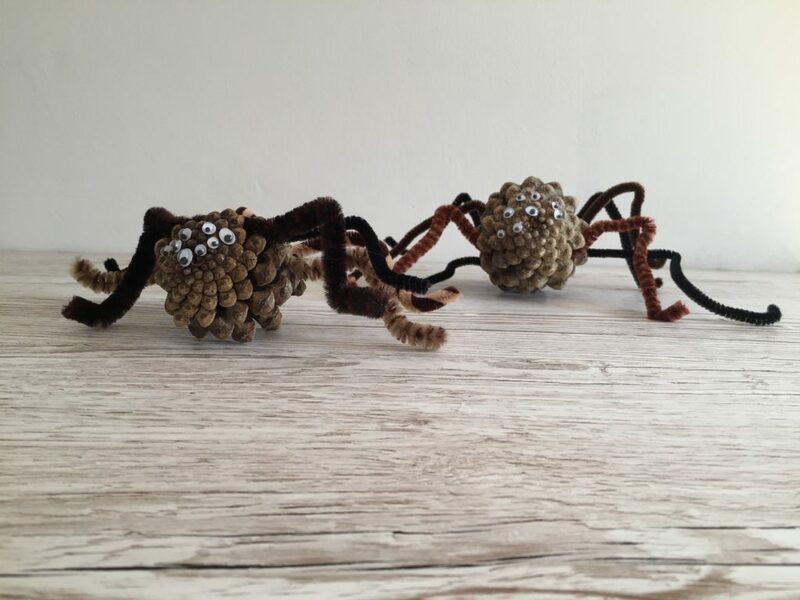 We hope you that take some inspiration from our crafts and would love to know if you make any of them. 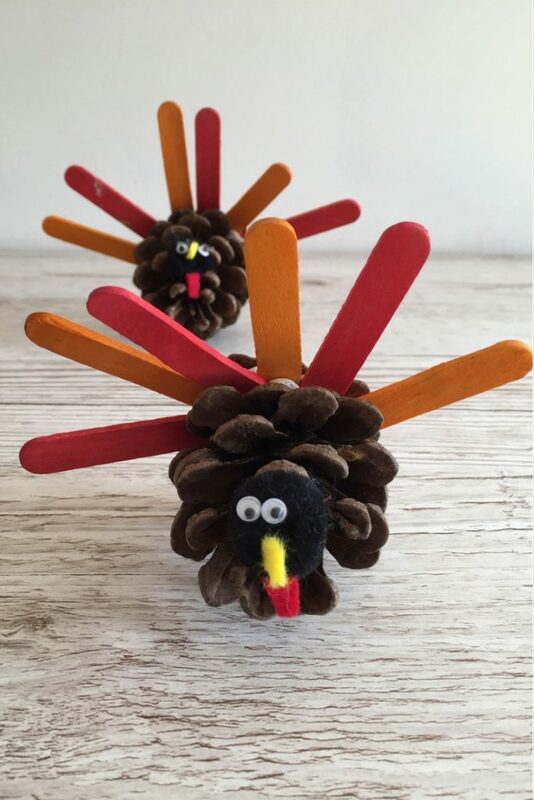 What cute crafts! 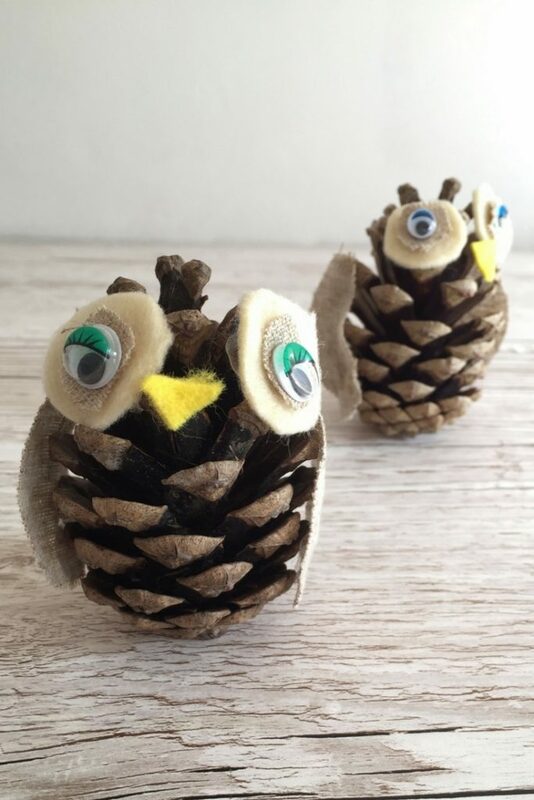 I especially love the owl pinecones, great use of felt!